Ransomware and other viruses force a fundamental paradigm shift in IT security. Whereas the tactic pursued to date had been to provide corporate networks with the best possible protection against attacks, the concept of post-infection protection follows an entirely different strategy in terms of IT security: Previous defensive measures like firewalls and antivirus tools are no longer able to provide an adequate level of protection from viruses and ransomware. As a result, post-infection protection (PIP) focuses on reliably preventing the proliferation of malware once it has infected a workspace. enSilo, a highly innovative startup which was designated as a ‘Cool Vendor’ in Gartner’s 2016 Digital Workplace Security Market Report, opted to specialize on PIP and subsequently developed a security software. Matrix42, the leading provider of workspace management solutions, sells this security software within the framework of strategic cooperation exclusive in Central Europe and integrates enSilo into a full-feature digital workspace security suite. enSilo offers a data security platform that blocks potential hackers from making harmful changes to files or establishing outgoing connections in real time, even if the hackers are new and completely unknown. The enSilo software monitors the OS instruction flow, detects malicious activity, and isolates this automatically. The combination of next-generation antivirus and endpoint detection and response (EDR) functions provides an effective defense against attacks. Unauthorized operations and detected malware are immediately blocked and quarantined by enSilo, which also issues an alert. Conversely, legitimate OS functions can continue to run uninterrupted, which allows users to maintain their productivity levels. Matrix42 will initially be offering the enSilo products as standalone solutions. However, plans call for their integration into our proprietary products and the development of a new digital workspace security suite. “We are seeking to market a unique solution that cleverly combines unified endpoint management (UEM), enterprise service management, and endpoint security management. In real terms, this means our customers will be able to configure the enSilo software via UEM and distribute it to their users’ end devices. When an infected endpoint is detected, it is immediately quarantined on the affected device and an error or alert is automatically generated in Service Management. Matrix42 Workspace Management automates the entire operation and provides a technical and process-related solution,” states Oliver Bendig. 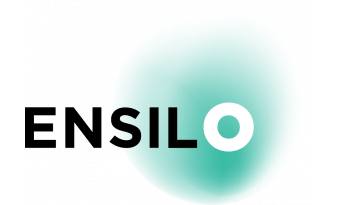 enSilo is a high-tech startup launched in 2014. It has received $34 million in funding from high-profile investors such as Carmel Ventures, LightSpeed Venture Partners, and Rembrandt Venture Partners. The company employs a staff of roughly 60 and maintains offices in San Francisco, Herzliya, Israel, and Singapore. In 2016, enSilo was named a ‘Cool Vendor’ in Gartner’s Digital Workplace Security Market Report.